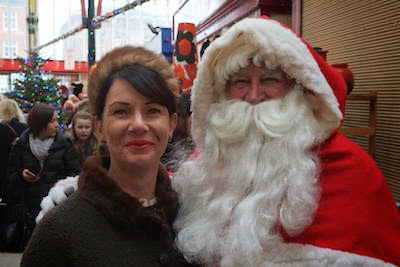 YES, I did get to meet Santa!!!!! 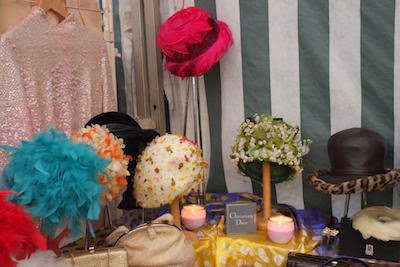 Well I’m sure you can imagine my delight on seeing this beautiful collection of Christian Dior hats only minutes after entering the Vintage Village, from new trader Mary Jones Vintage. 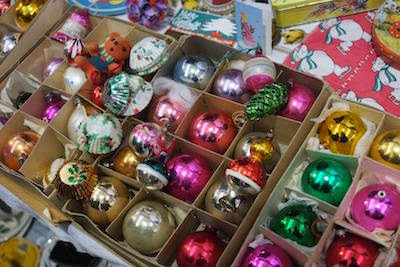 They were truly stunning, and all from one lady’s estate – Betty Larson. 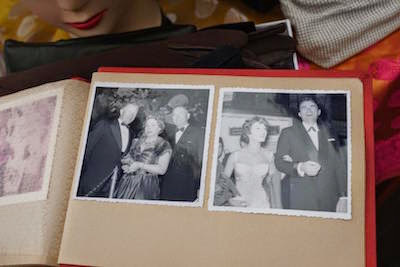 The proprietor, Julia, was even kind enough to show me a photo album she had with photos of the lady herself and her daughter with Gregory Peck. What a true gem to have and treasure. 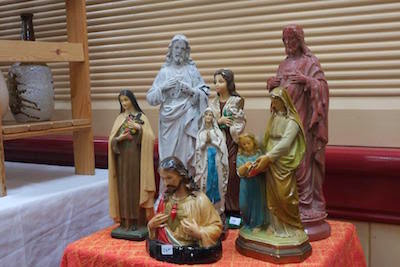 Snygg, as always, had some great pieces, especially this collection of religious statues, which seemed like their very own nativity scene for this fair. Very apt indeed. Boland’s Bygones seemed to have the perfect accessory for the weather on Sunday. And the perfect prop for the ever talented Paul Harper to use whilst he was singing and dancing in the rain. True star that he is! Weather???? Rain? Cold??? What’s that??? 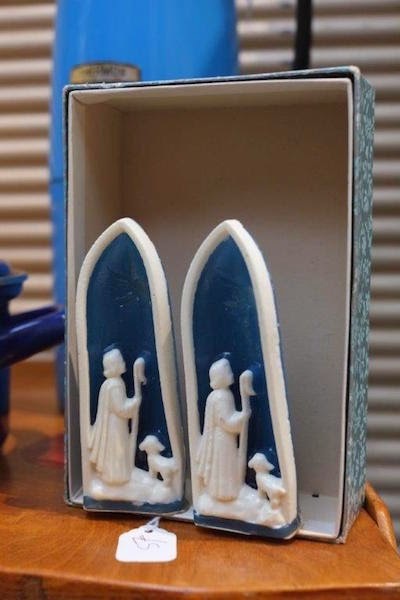 The whole scene is wax with the actual candle moulded onto the back and when it is lit a star shines in the sky! Well these were just TOO good a Find and had to come home with me … So much for being distracted by being Finder of the Fair, hence not buying anything. I have always loved classic movies, especially those from the 1950s and 60s, and the way that ladies – and gentlemen – used to dress. True style - simple silhouettes, perfect details and always accessorised with hats and gloves; a must to complement any outfit. I find it wonderful that lots of these outfits and accessories have managed to survive the years and I am only too happy to give them a new home and lease of life. 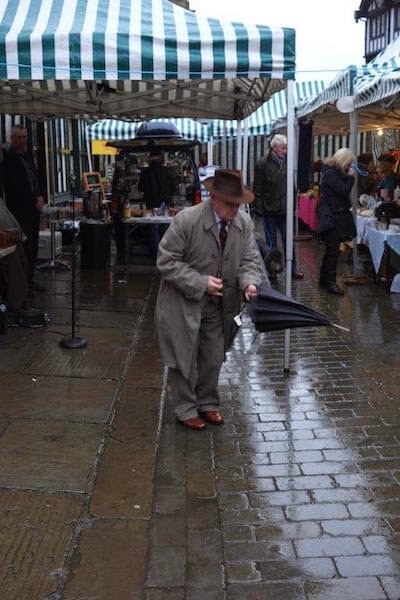 My husband, Adam, and I have been regular visitors to the Vintage Village over the past couple of years and it is a most pleasant way to spend a Sunday if we are not out and about with our vintage cycle club the Guvnor's Assembly. 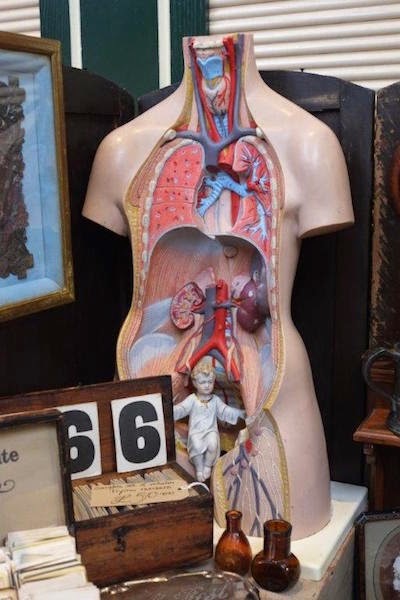 So as a bit of a last minute request for me to be the last – but not least I hope – Finder of the Fair for the No Sleep ‘Til Christmas Fair, here are my finds … with a slightly Christmassy influence I feel. 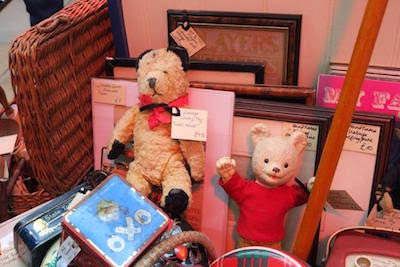 Sarah’s Second Chance had lots of lovely Christmassy gems including a very much loved Sooty and Rupert sat at the front of the stall waiting for a new home. 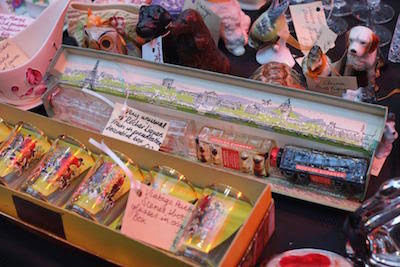 And a brilliant Rocher liqueur train set (£12.00) which was still in its original box, and one of the bottles even had the original liqueur in it! Go on, I dare you … And the Christmas pudding charms (£14.00, not pictured) were very tempting too but Mr A commented that their purchase would mean having to make a Christmas pudding to contain them, which soon changed my mind. Wax Delirium had a fantastic selection of books to choose from for those hard to buy presents for the men in your life! 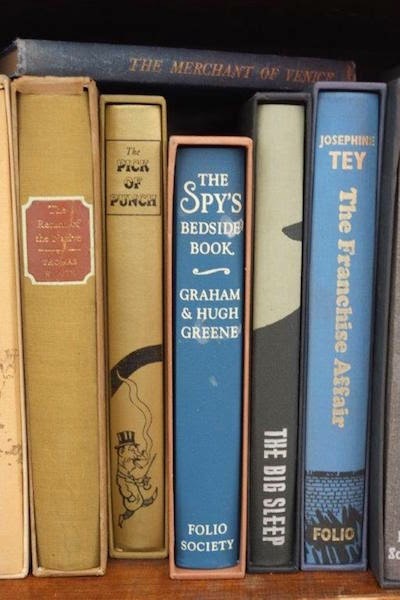 The Spy’s Bedside Book particularly caught Mr A’s eye … mmmm, should I be worried? 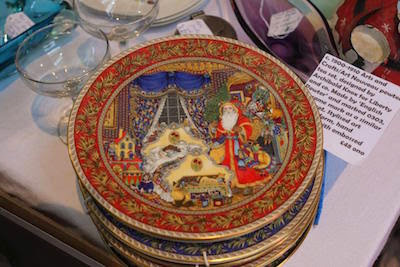 Modernist Mid-Century had the most delightful Christmas plates by Royal Worcester. I bet your Christmas dinner would taste extra special served on one of these. Shabby Cheek with their version of a nativity scene. Brilliant as always, and causing much interest as we wandered around. 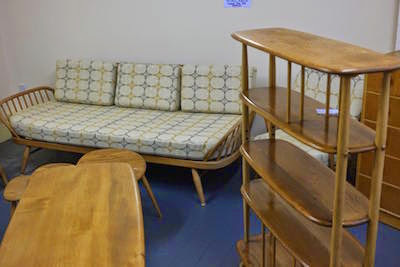 A new, and very welcome, addition the Vintage Village is the new 20th Century Stores over the road on the corner, housing Harwood-Brown (amongst others) and his fantastic range of furniture from the 50s and 60s, all in fully restored condition. There were some great pieces from Ercol – a particular favourite of mine - including the set of three Pebble tables for £375.00, a fabulous book shelf, a very unusual console table/desk (£475.00), as well as the classic and much sought after 60s day bed in blond wood, all newly reupholstered in a complementary fabric to the era. Wasn't that fun? We owe a huge debt of gratitude to Gill for stepping in at such extremely short notice, and for presenting such a festively appropriate selection! 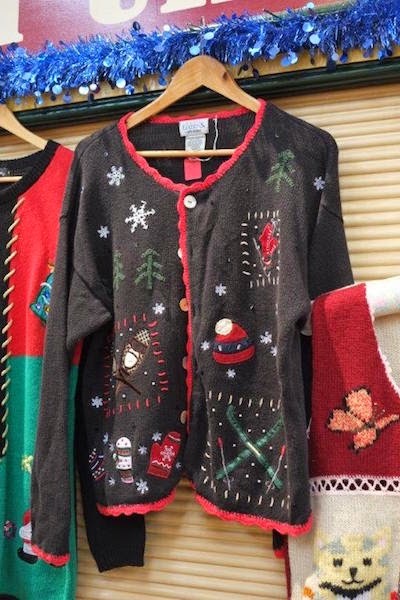 We're feeling all warm and Christmassy now, thank you Gill!